Denon, a world renowned specialist in manufacturing home cinema and multi room audio solutions, have in the past few days announced the launch of a notable new home cinema soundbar. Named the HEOS HomeCinema HS2 Soundbar, the new speaker boasts a number of impressive features, including coming with Amazon Alexa built in. Having the popular voice control client from Amazon readily incorporated means that the HEOS HomeCinema HS2 Soundbar provides users with the opportunity to utilise Alexa voice control as part and parcel of their home cinema or home entertainment setup. What’s more, Denon’s new soundbar does also support Apple’s Airplay, Bluetooth and Hi-Res Audio. Away from those third party integrations, the new home cinema Soundbar is also capable of streaming 4K and comes complete with a wireless subwoofer for improved bass. Hi-Res audio and generally high sound quality are also assured thanks to the soundbar’s ability to stream Hi-Res Audio in FLAC, ALAC, AIFF and DSD files. In order to suit a variety of home entertainment setups, the HEOS HomeCinema HS2 Soundbar features HDMI ports, an ARC port, as well as optical and coaxial inputs and a USB port for external storage devices. 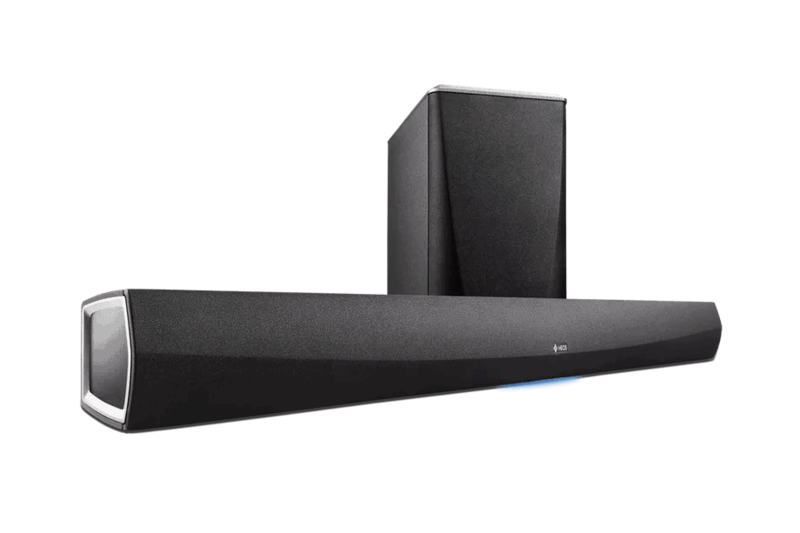 As the name suggests, the new soundbar is also HEOS enabled, meaning that it will work seamlessly with other Denon HEOS speakers in order to set up a top class multi room audio system. When standing alone, meanwhile, the soundbar features 20mm dome tweeters that will provide some great high frequency sound, and five larger drivers for the mids and highs. If you would like to discuss your requirements for Denon multi room audio solutions please call us on 0800 195 4825.